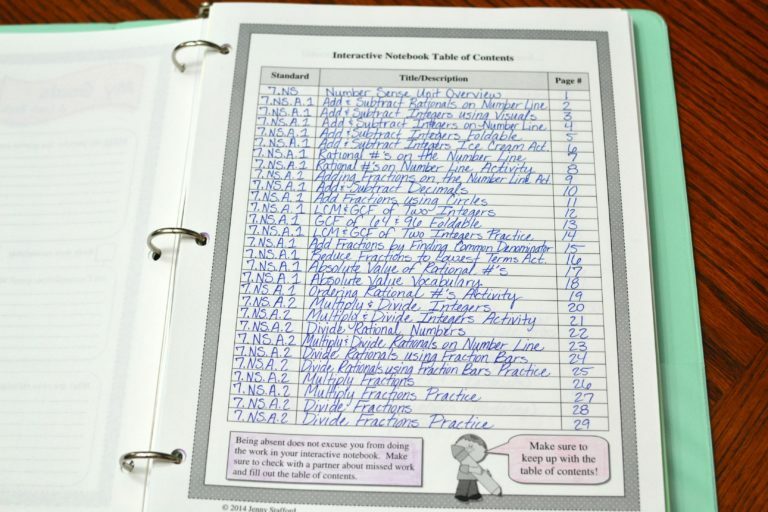 (1) What is an interactive notebook (INB)? Option 1 - Spiral Notebook: If you decide to use a spiral notebook, I recommend using a college rules sheets that has at least 150 pages. 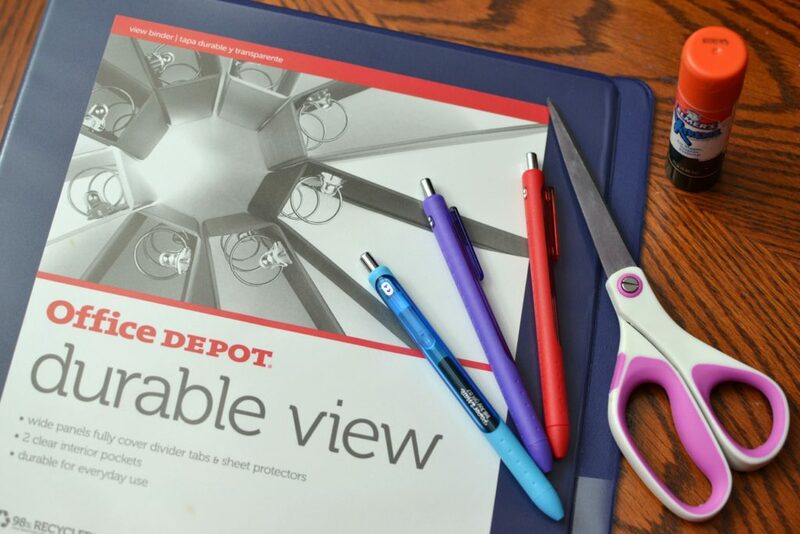 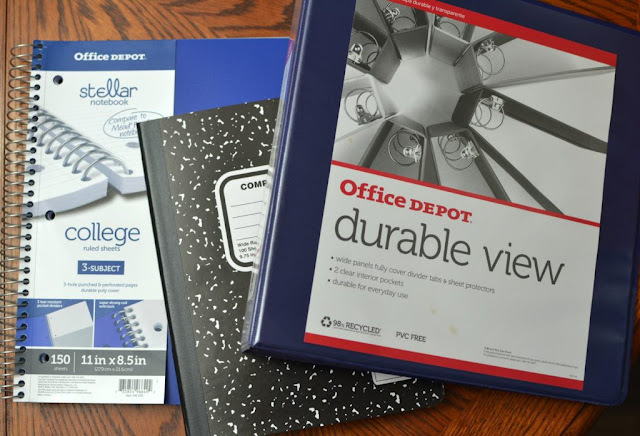 The pages will fit perfectly in the spiral notebook. 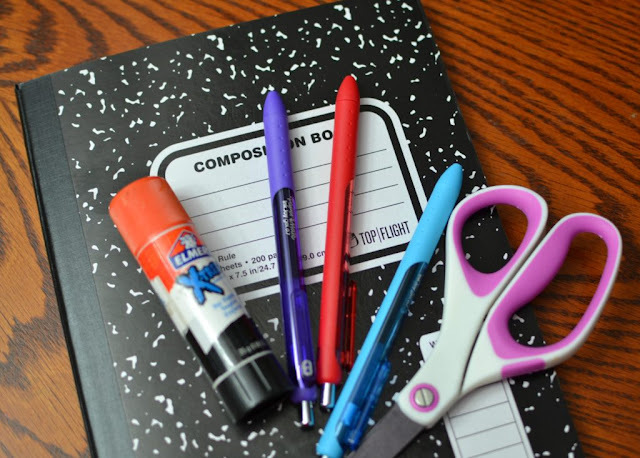 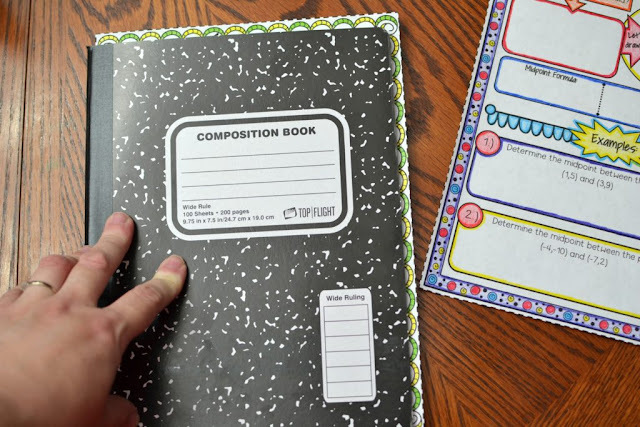 Option 2 - Composition Notebook: Most teachers like to use composition notebooks in their classroom because the notebooks are smaller and less expensive. 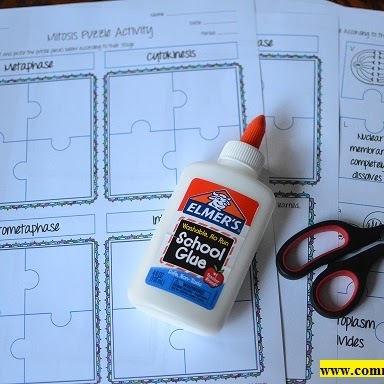 Option 3 - Binder: If you hate glue sticks then this might be the best option for you. 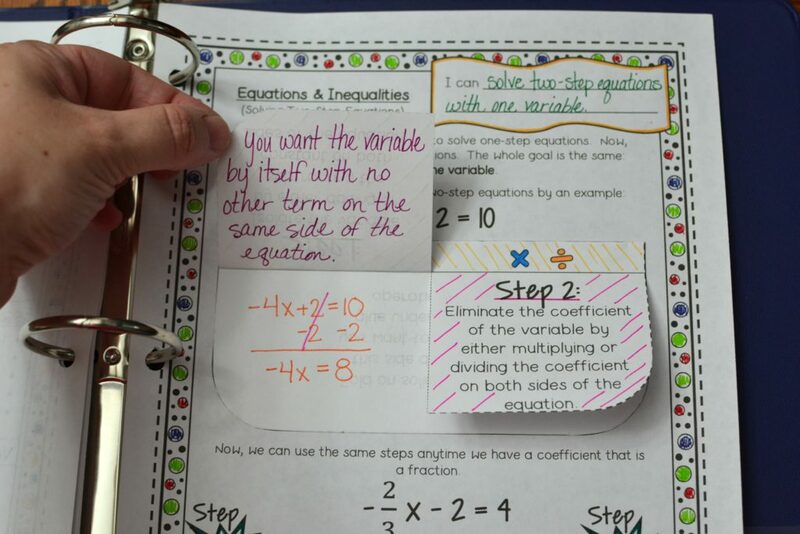 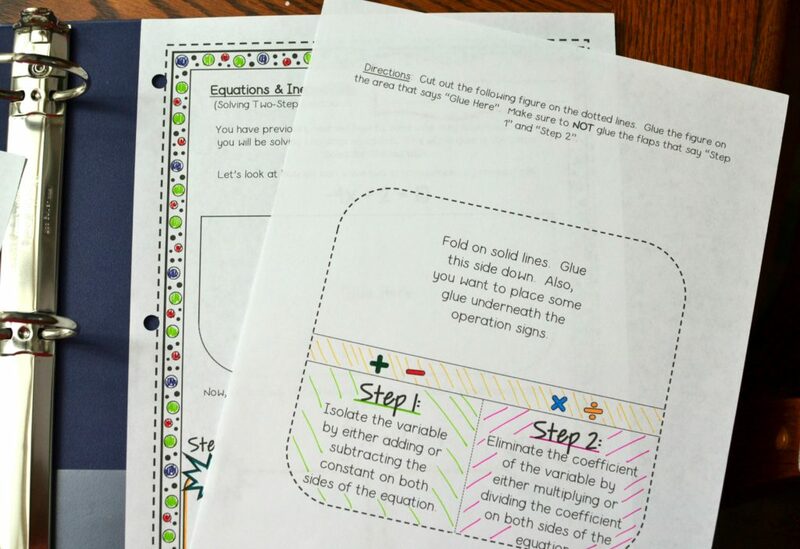 Students still need to use some glue for the little foldables but it is far less than with a notebook. 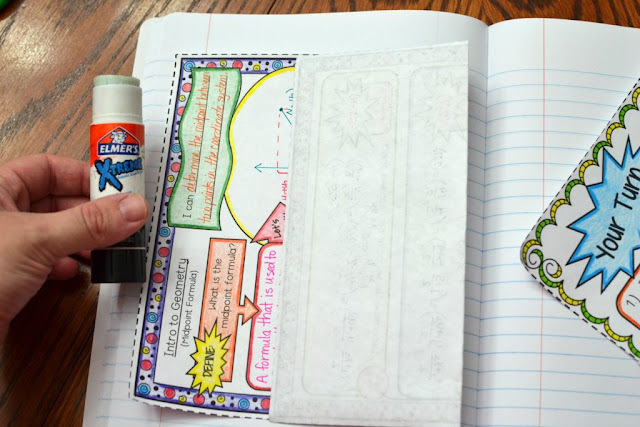 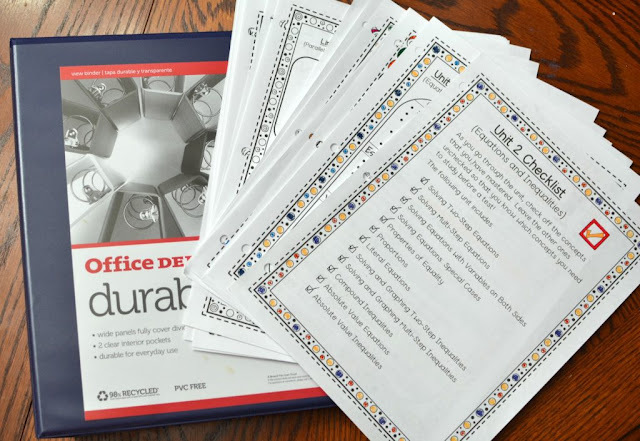 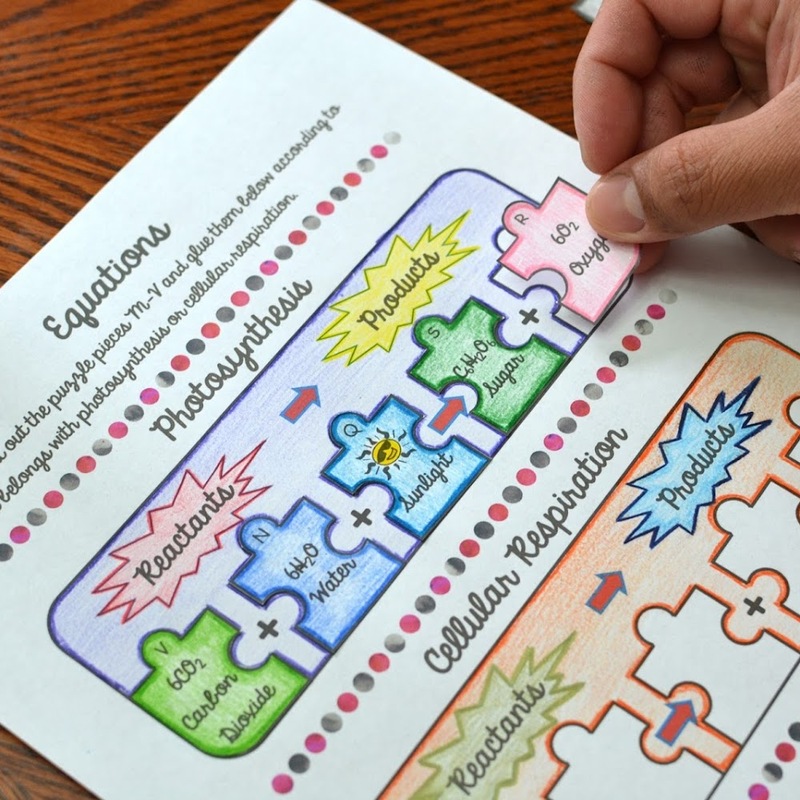 You just need to print the interactive notebook pages with three hole punches. 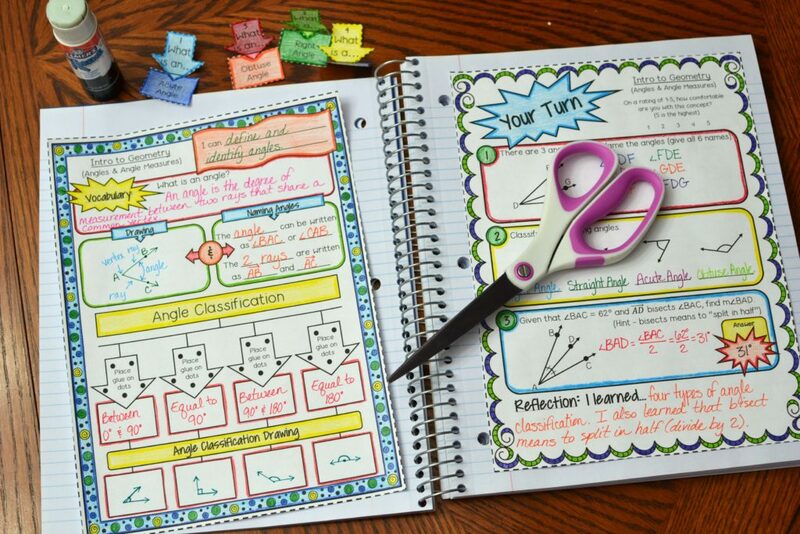 Saves class time for any class that is limited with time. 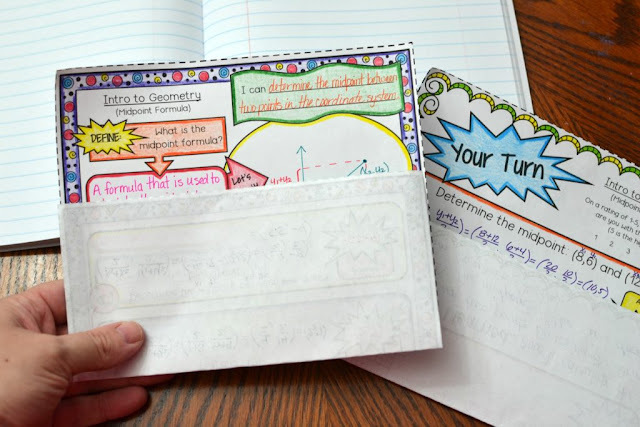 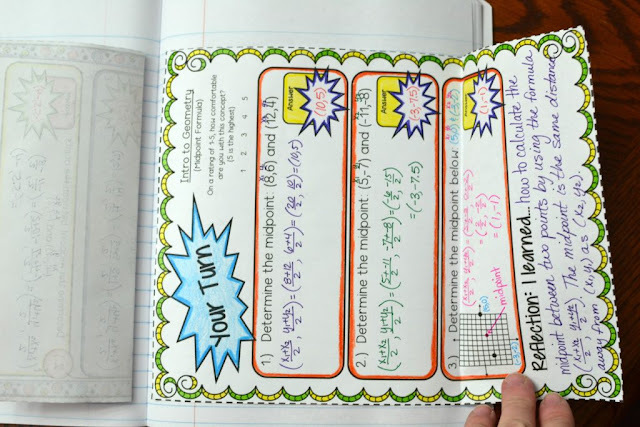 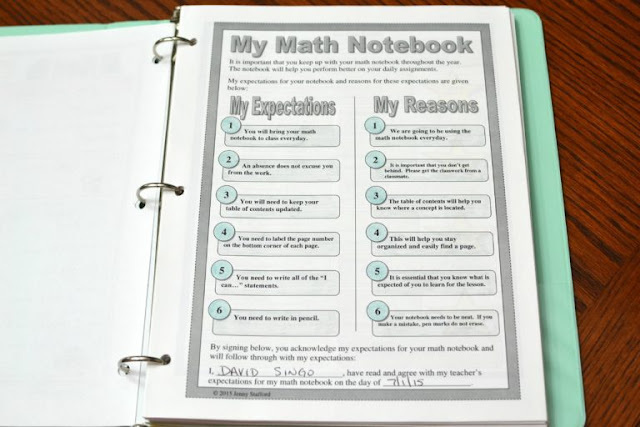 Grading Rubric – It is important that students are informed on how their interactive notebooks will be graded. 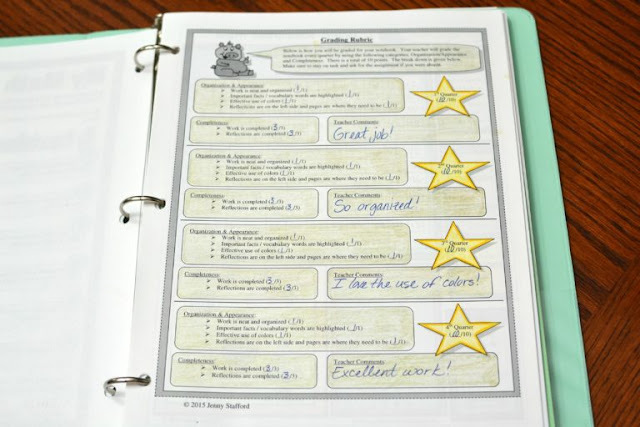 A grading rubric will break down categories and let students know how many points each category is worth. 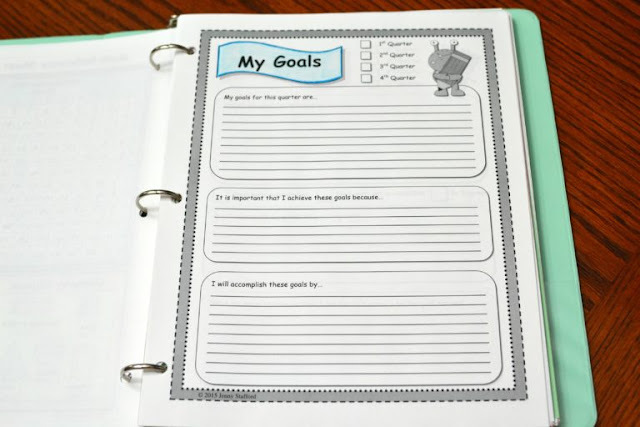 Setting Goals – You can have students set goals many times throughout the year. I normally have students set goals every quarter. 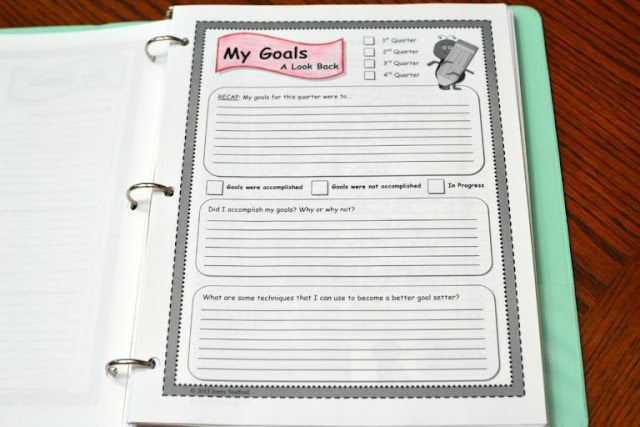 Looking Back at Goals – Students need a way to look back at goals that they set and determine if they achieved those goals. 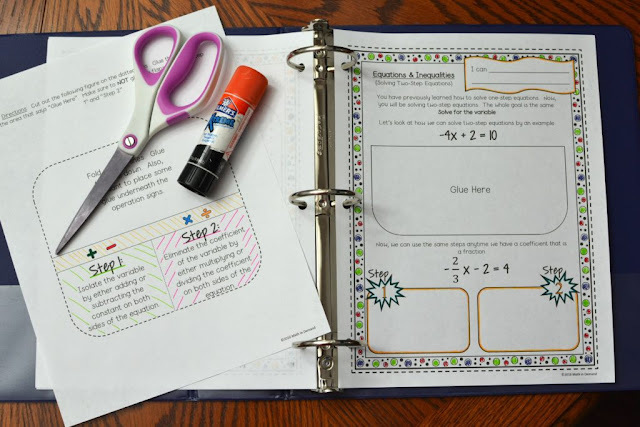 If not, they need to question how they could have achieved those goals, and what they need to do differently next time to make sure they can obtain their goals. 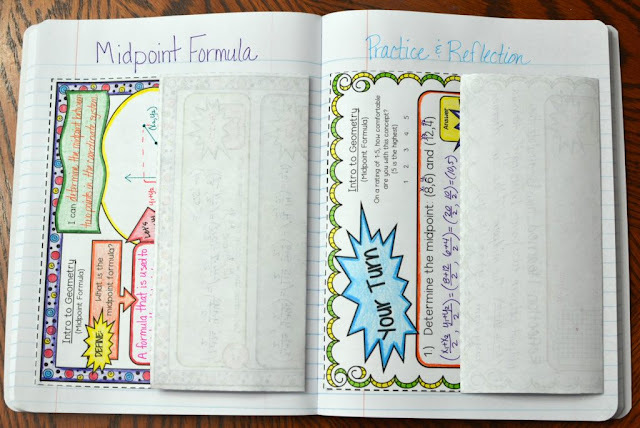 Reflections Page – Students should be making reflections every lesson. 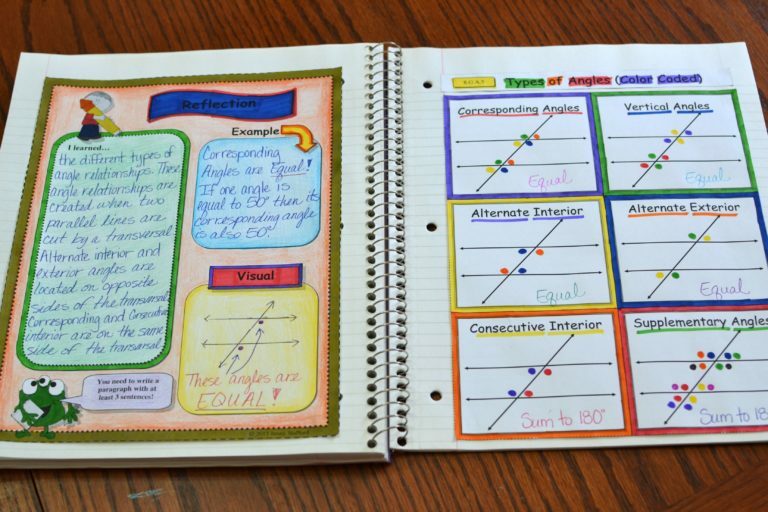 Students need to be able to reflect by written response, drawing a visual picture, or giving an example. Table of Contents – This allows students to easily locate information in their notebook. 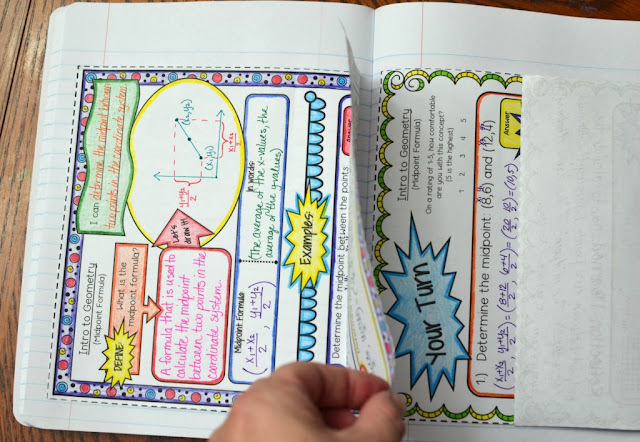 The interactive notebooks can get very big with lots of important information. 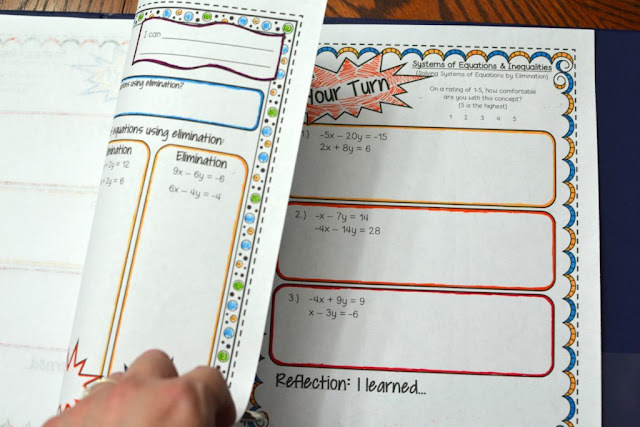 The table of contents will help the students access information that they need by looking up the concept and page number. 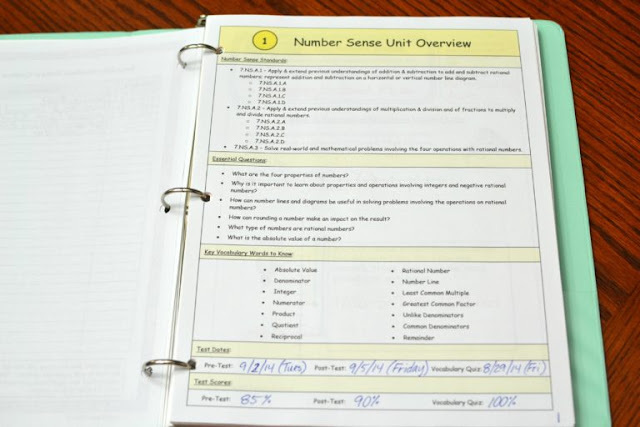 Unit Overview - This allows students to know standards, essential questions, vocabulary, and important test dates that are in the upcoming unit. 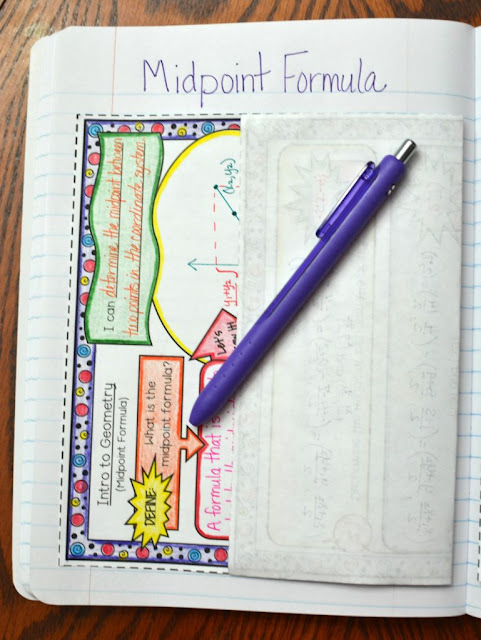 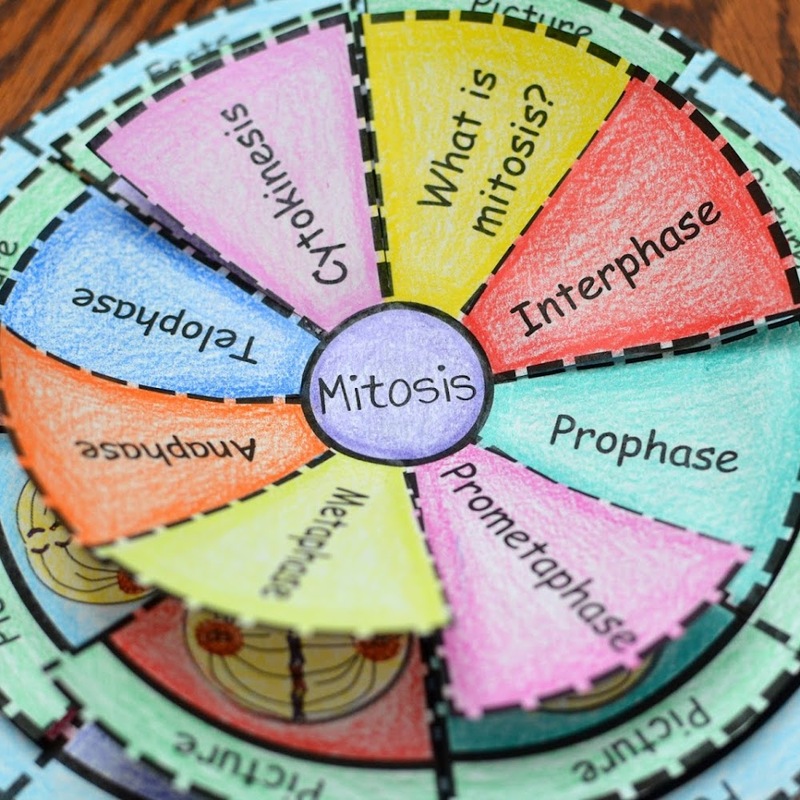 It is great for students to have all of this information in the same spot and be able to know exactly what they will be learning in the next few weeks or so. I also love having students write in the dates of their pre-test and post-test so that students can not come to class and complain that they didn't know that there was a test. 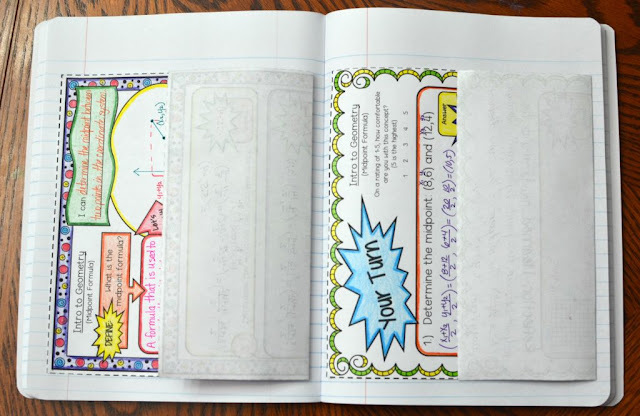 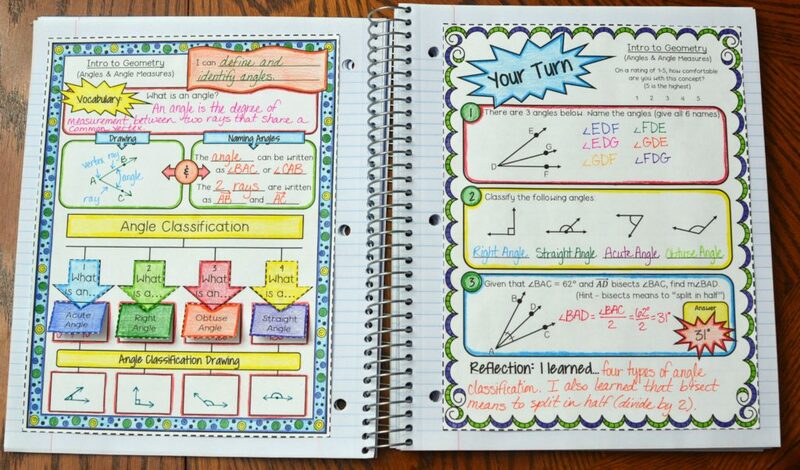 (7) How do you grade your interactive notebooks? 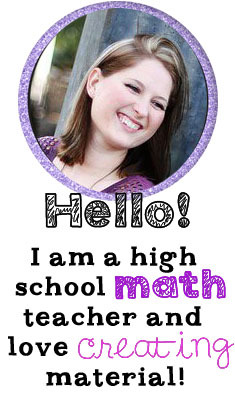 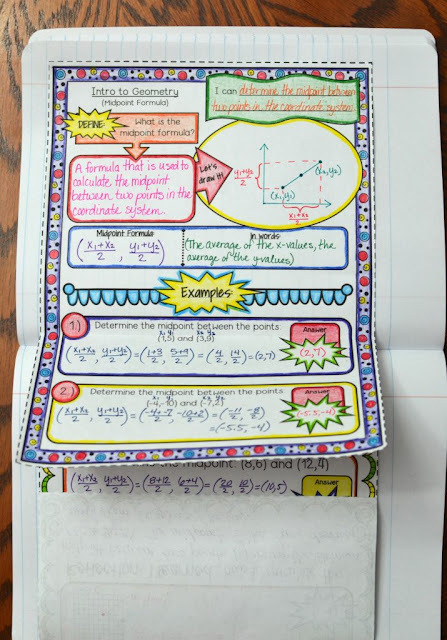 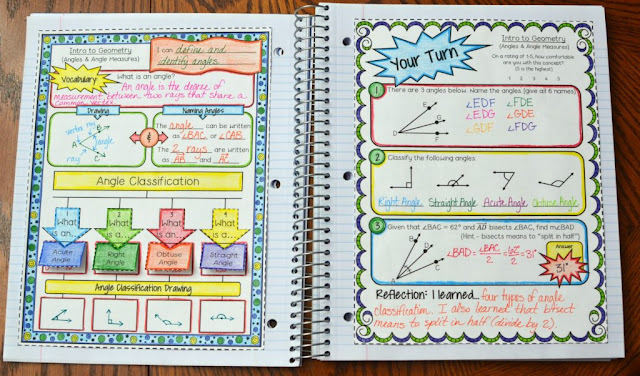 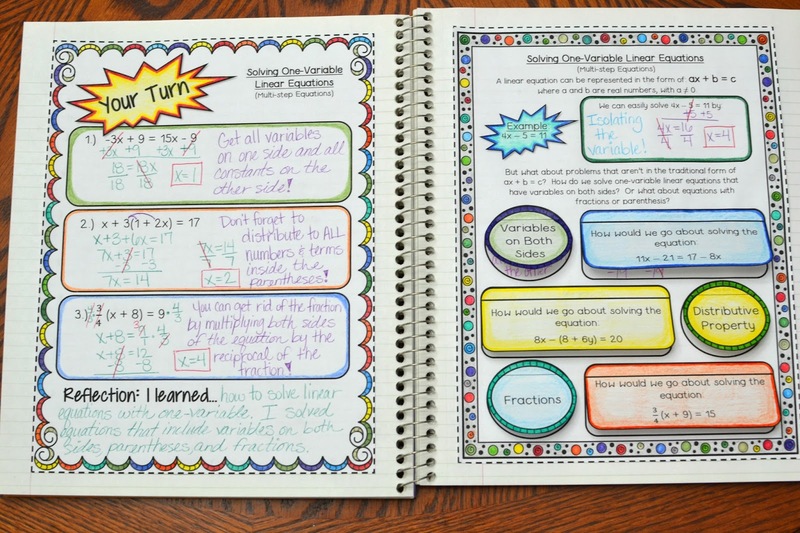 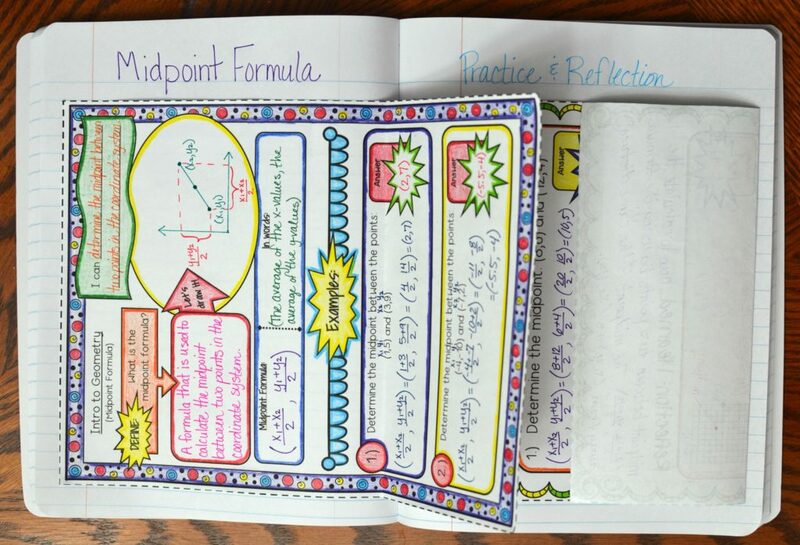 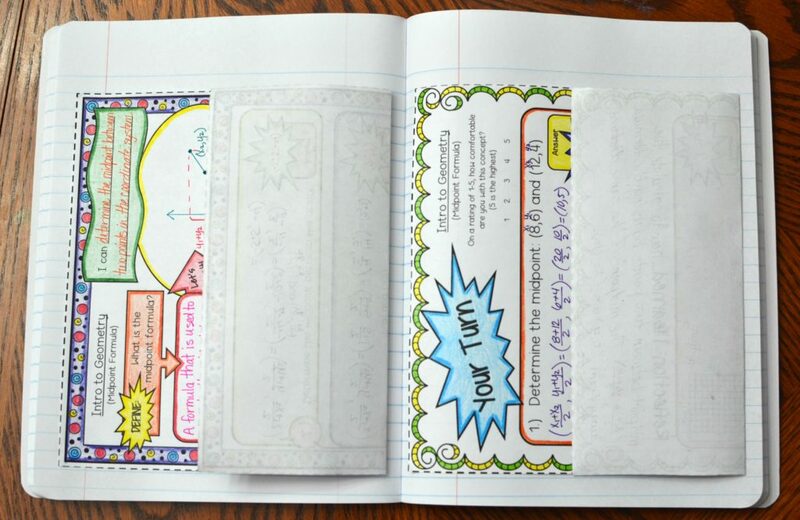 I have math interactive notebooks that range from 6th grade to high school. 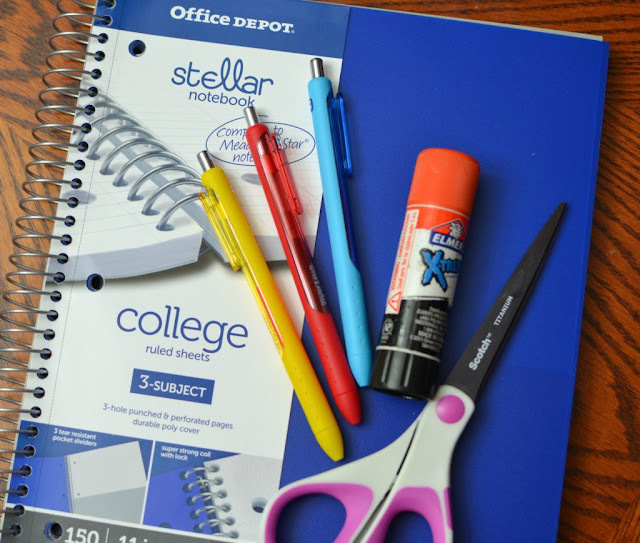 You can click on the links below to purchase my notebooks.